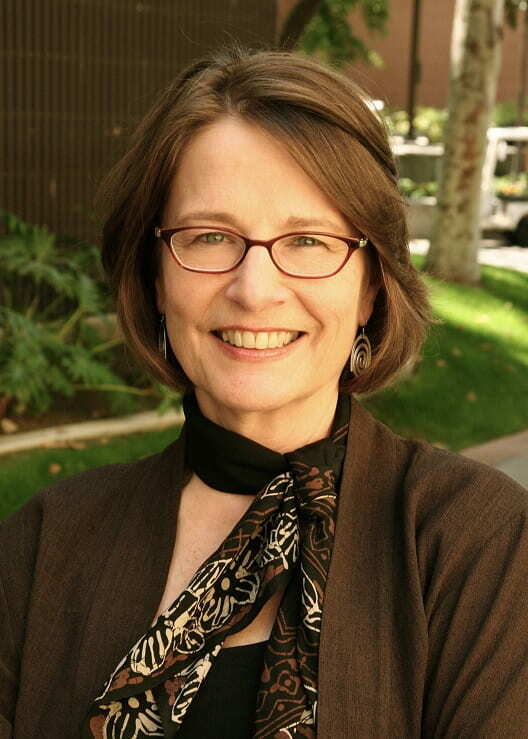 Geneva Overholser, former professor and director of USC Annenberg’s School of Journalism, has been appointed a Senior Fellow of the Center on Communication Leadership & Policy (CCLP). Overholser joins a distinguished group of CCLP senior fellows that include journalists and media executives such as Cinny Kennard, Adam Clayton Powell III and Narda Zacchino, authors and policymakers such as Dan Glickman, Richard Reeves and Morley Winograd and pioneering leadership scholar Warren Bennis, among others. As a senior fellow, Overholser will focus on “how journalism, in this period of such profound change, can become more constructive”, hoping to answer significant and pressing questions for the evolving field. “How can journalists work in tandem with the people formerly known as the audience to take advantage of new tools and new technologies to realize the enormous potential for bringing about a more democratic journalism, on in which all voices are heard and a broader range of ideas can come to light?” Overholser further notes her upcoming project with husband and CCLP Senior Fellow, David Westphal, looking at “a specific community or two to see how people’s consumption (and co-creation) of information in the public interest is changing”. Her projects with CCLP mirror her past ones, as her tenure at USC Annenberg was a period of growth, change and innovation for the School. Her many accomplishments include the launching of a new one-year master’s program, Neon Tommy, Annenberg’s award-winning digital news source, and Intersections South LA. Professor Laura Castañeda, associate director for the School of Journalism, says, “she has been instrumental in trying to get Annenberg to focus on community journalism and connecting with our local community […] she is very inspiring.” Overholser served as the School’s director from 2008 until 2013. Previously, she held the Curtis B. Hurley Chair in Public Affairs Reporting for the Missouri School of Journalism. As the editor of The Des Moines Register, she led the paper to a Pulitzer Prize for Public Service as well as earning her own recognition as Editor of the Year by the National Press Foundation. She has been ombudsman for The Washington Post, a member of the editorial board of The New York Times, a syndicated columnist for The Washington Post Writers Group, and a reporter for the Colorado Springs Sun. Additionally, she serves on the boards of the Center for Public Integrity, the Committee of Concerned Journalists, the Fund for Independence in Journalism, the Academy of American Poets, and on the Journalism Advisory Committee of the Knight Foundation. 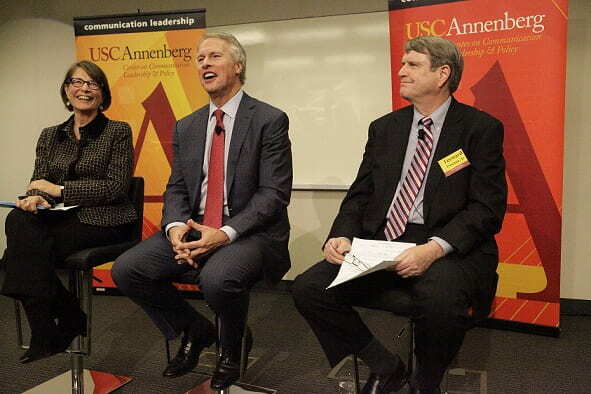 From left to right: Geneva Overholser, Gary Pruitt, President & CEO of the Associated Press, and Leonard Downie Jr, former Executive Editor at The Washington Post, at a CCLP event in New York.